If you’re looking for good views and an exhilarating ride the Council Crest Greenway Path is the way to go. See what makes the Pacific Northwest so beautiful on this Southwest Portland Bike Ride. 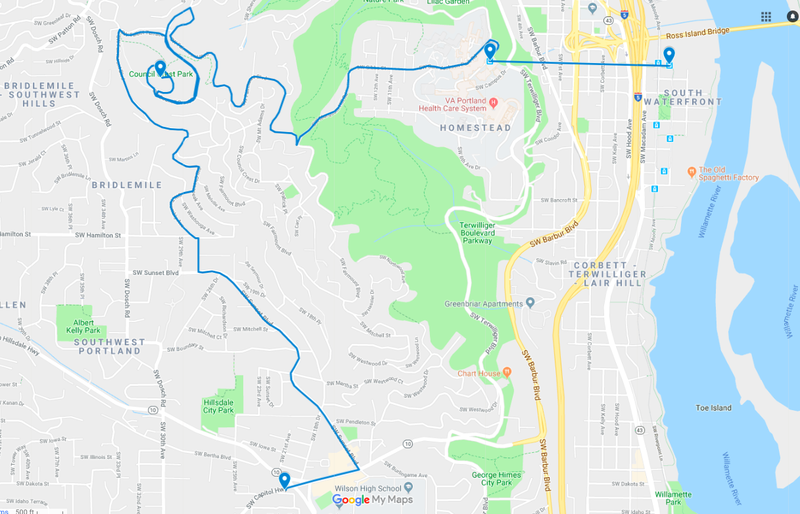 Unless you are looking to bike a couple hundred feet uphill (a great options with one of our E-bikes) I would recommend taking the OHSU aerial tram (tickets are $4.90) to the top and starting from there. Once at the top of the tram, take the Gibbs/Marquam hill greenway road until it dead ends into Fairmont. Here you’re going to want to take a right on Fairmont followed by a left on Greenway, then follow the signs to Council Crest Park. 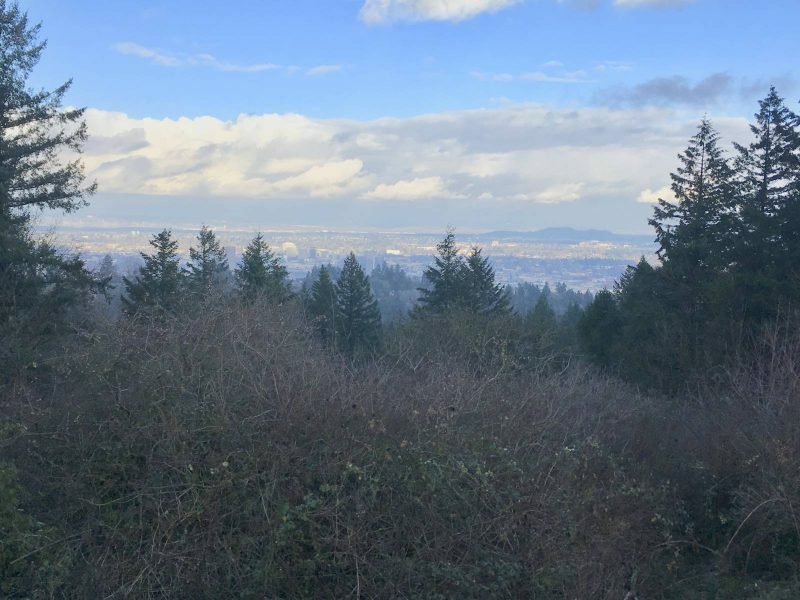 Historic Council Crest Park offers a 360-ish degree view of Portland with beautiful views of downtown, the Washington Cascades, Southwest Portland, and on a clear day, a breathtaking view of Mt. Hood. I usually like to stop here and take lots of photos as this is one of the best spots to see Portland. Next comes the fun part. From the top of the crest, head back down Greenway making sure to take a left on SW Talbot Terrace. This road is a bit thin and a little windy so be sure to be alert of cars. At the end of Talbot Terrace take a left on Fairmount Blvd. You’ll follow Fairmont for a while before hooking a right onto SW Chesapeake. Here you’ll have a quick succession of turns consisting of a right on Twombly, then a right on 27th, and finally a left on Sunset. The Fairmont to Sunset section is fairly steep and I enjoy bombing it as fast as possible, but ride at your own comfort level as it is enjoyable at any speed. Sunset will take you to Hillsdale, one of SW Portland’s cute tucked away “mini towns”. Here there are many great restaurants, food trailers and shops to check out. But I prefer to head west on Capitol Highway to the Sasquatch Brewing Co. SW taproom for a nice end of Southwest Portland bike ride beer.